Image Credit: Shonen Jump/Hirohiko Araki. Attack on Titan, Ghost in the Shell, the ever-present threat of the chance for a western Akira movie... we’re living in an age of big anime-to-live-action-film adaptations. And now the zany shenanigans of JoJo’s Bizarre Adventure are joining the bandwagon, courtesy of Warner Bros. and Toho. 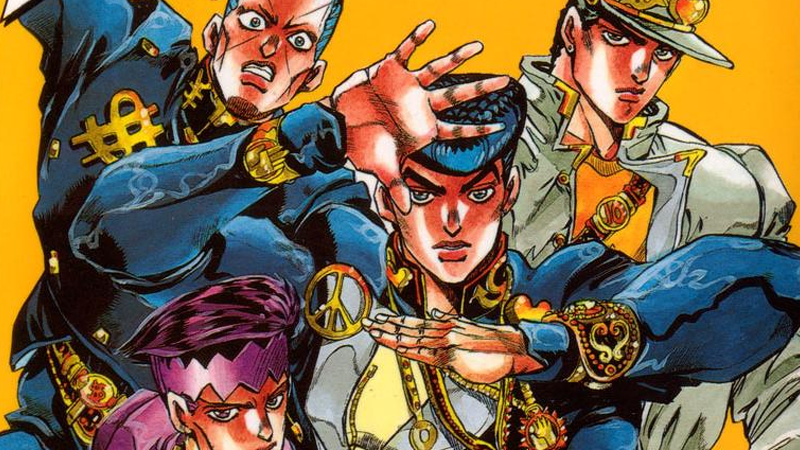 Hirohiko Araki’s epic-length manga series about the Joestar family’s generations-long battle with supernatural forces using powerful entities known as “Stands” has spawned many spinoffs and adaptations over its nearly three decades of existence. That includes the ongoing and incredibly popular—and also, frankly, batshit insane—anime by David Production, but this will be the first time the series is making the jump to live-action. Takashi Miike will direct the film, which is due to start location shooting in Spain soon, while Kento Yamazaki will star as the film’s protagonist Josuke Higashikata, descendant of the Joestar family and protagonist of the manga’s fourth major arc, Diamond is Unbreakable. And that’s kinda mild for this series. If Miike can pull of even a fraction of the ludicrous nature of this series, this could be one hell of an action movie. The JoJo movie is expected to release in the summer of 2017 in Japan, with Warner Bros. Japan handling worldwide distribution at a later date.